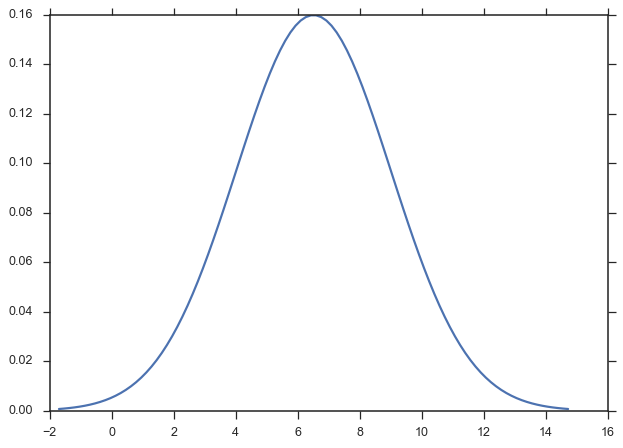 Generate random data from a probability distribution. The distribution from which the random data will be generated. The parameters required to define the distribution. See each distribution’s docstring for more info. The shape of the array into which the generated data will be placed. If None , a scalar will be retured. The random array (or scalar) generated. Estimate the distribution parameters of sample data. The data from which the distribution will be fit. Inital guess values for certain parameters of the distribution. See the class docstring for more information on the parameters. A namedtuple containing all of the paramaters of the distribution. Plot the PDF of a dataset and other representations of the distribution (histogram, kernel density estimate, and rug plot). The (name of) the distribution to be plotted. An array-like object that can be passed to distplot() and fit(). Toggles fitting distro to data. If False, distro must be a fully specified distribution so that the PDF can be plotted. Axes on which the everything gets drawn. If not provided, a new one is created. The fraction of beyond min and max values of data where the PDF will be drawn. Specfifies a ‘log’ or ‘linear’ scale on the plot. Plotting options passed to plot() when drawing the PDF. Toggles the use of distplot(). The default is False . Dictionary of parameters to be passed to distplot(). Additional parameters for specifying the distribution. 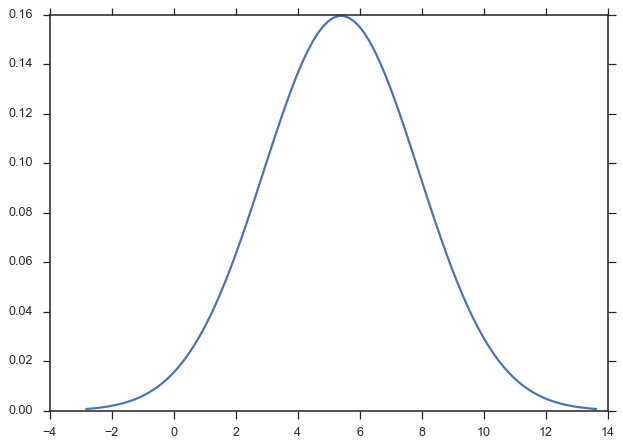 Plot a simple PDF of a fully-specified normal distribution. Pass a data sample to fit the distribution on-the-fly. Use line_opts and distplot_opts to customize more complex plots. Notice that the bins in log-space don’t work so well. We can compute them outselves.